We brought with us a poster titled “Data con carne – sources of new knowledge on biodiversity” (in Norwegian), where we presented how our barcoding efforts on both African and Norwegian material are parts of a global undertaking of building a “library of life”, and how using huge databases such as BOLD can help us gain better understanding of biodiversity – and on where to focus our efforts in unraveling the taxonomy. 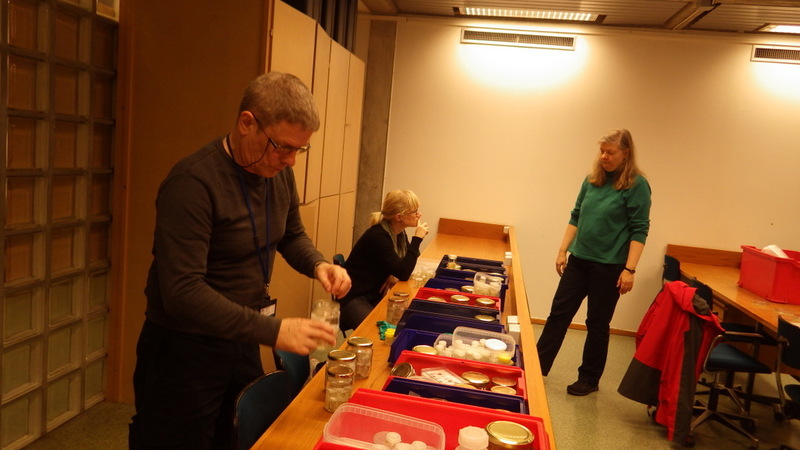 There is a very real challenge connected with estimating biodiversity when many of the species are still undescribed, as is the case with many invertebrates, especially the more obscure and diminutive groups. 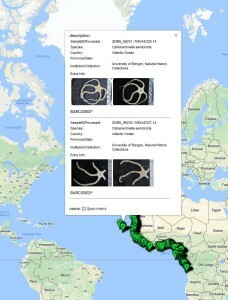 In such cases, barcoding can serve as a tool in screening for biodiversity, and aid the taxonomists in identifying areas where the taxonomic resolution is poor. There is a global effort underway to establish a library of short, species specific genetic sequences. These standardized genetic sequences (“barcodes”) consists of a segment of approximately 650 base pairs of the mitochondrial gene cytochrome oxidase c subunit 1 (COI). 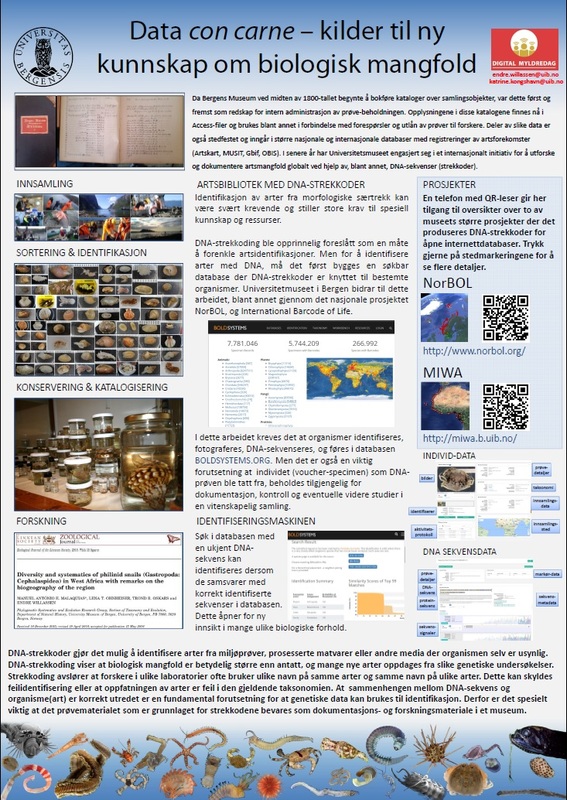 You can read more about DNA barcoding on WIKIPEDIA. 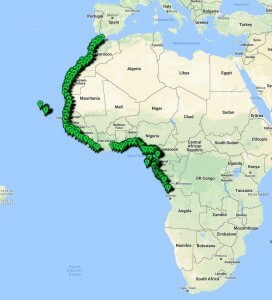 For MIWA, we have submitted over 2700 tissue samples from over 600 morphospecies for DNA barcode sequencing through the BOLD-pipeline, where the lab work is done in Guelph, Canada, and the data is uploaded to the Barcode of Life Data Systems (BOLD Systems) . Out of these, 1450 sequences have been obtained (54% sequencing success rate), and these cluster into close to 550 BINs (OTUs) – suggesting that the diversity may be (much!) higher than what our preliminary investigations reveal. 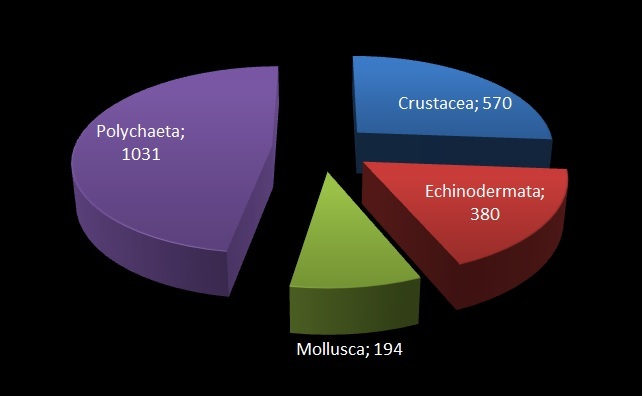 This is not so surprising, considering how hugely diverse and little studied the invertebrate fauna of the GCLME and the CCLME is. 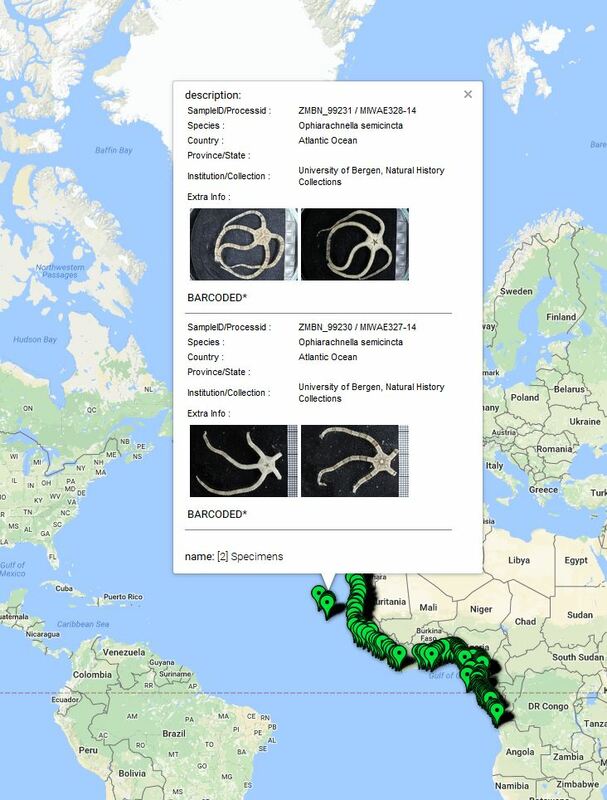 Our barcoding revealed several examples of mismatching taxonomic identifications amongst researchers in different labs and institutions in different countries. 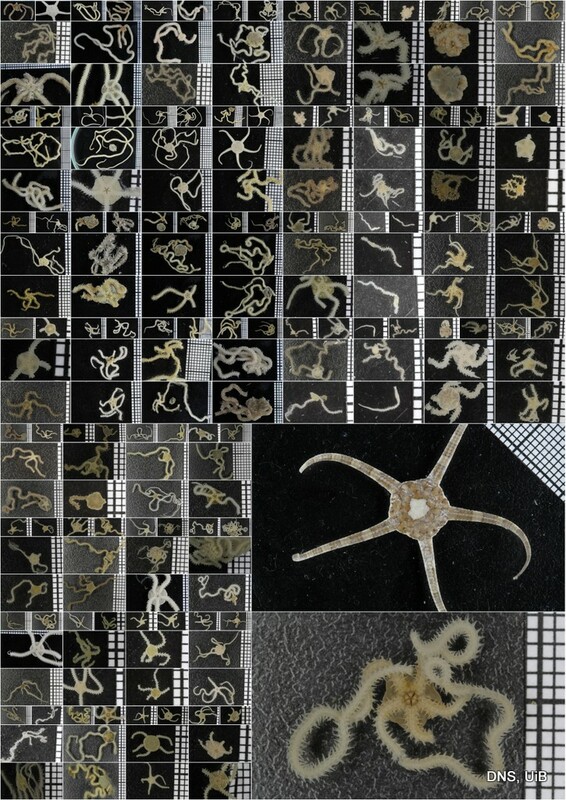 This illustrates a major challenge, as it has been shown that when benthic fauna is used in standardized methods for quality assessment and monitoring, mismatching identifications produced by different identifiers can have strong effects on indexing and valuation of ecological conditions in the same habitat. For DNA barcoding to be useful, it is absolutely neccessary that the correlation between species name, specimen, and barcode is correct (or at least as close to it as we can get, if the species is undescribed). 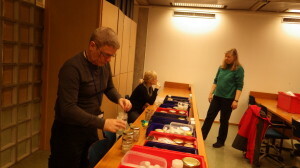 We must first build this reference library before barcoding can be reliably used for identification of unknown organisms. Hence it is imperative that the voucher specimens that correspond to the genetic barcodes are deposited in a museum where it will be preserved and made available for research. 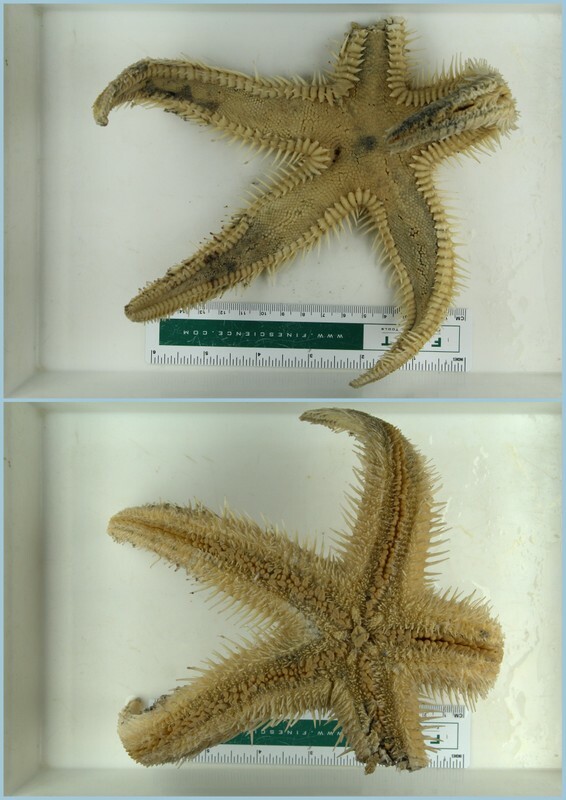 This entry was posted in biodiversity informatics, BOLD, brittle stars, Crustacea, Echinodermata, Mollusca, new species, Polychaeta, species identification on October 5, 2017 by katrine. Here is a interactive map of all the samples (2175 as we speak!) that we have submitted to the BOLD-database for genetic barcoding. You can also follow this link to find it. By clicking around on the map you can see how many specimens we have submitted from each station, as well as photos of the animals and wether or not the sequencing was successful and resulted in a genetic barcode. The samples we have submitted (so far – there are still plans to do more!) 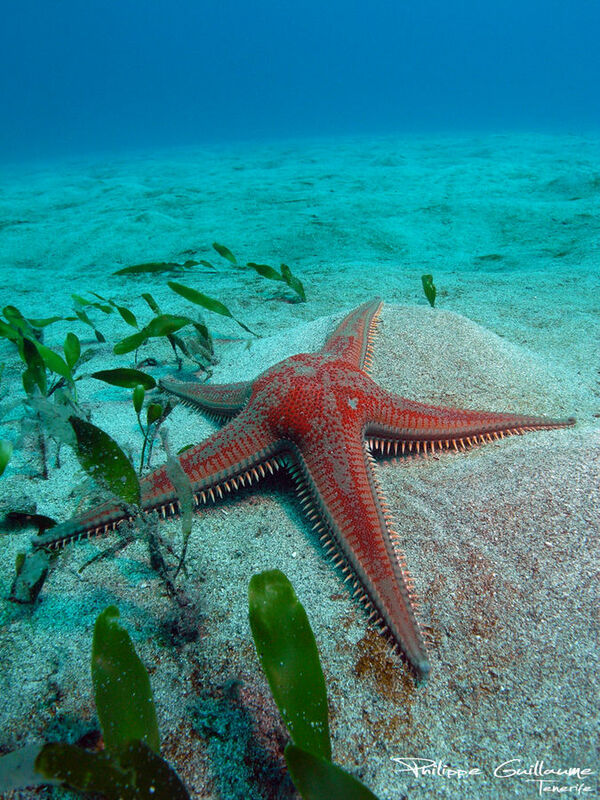 include several animal main taxa; Crustaceans, Echinoderms, Molluscs and Polychaetes. 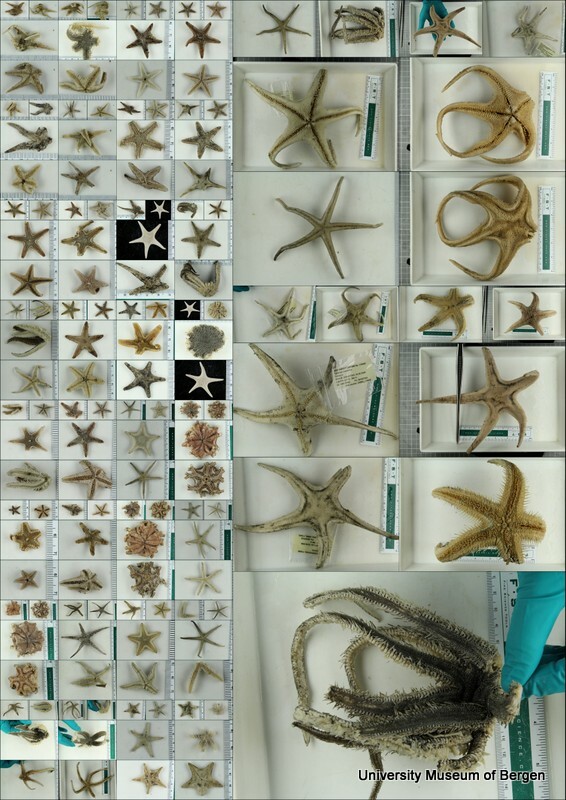 These animals have been sorted out and identified by employees at the invertebrate collections, and by visiting guest researchers who have come here to work in the material – so it is very much a combined effort behind this. Not all our material is suited for genetic analyses; fixation in formaldehyde gives well preserved specimens that are well suited for morphological examinations – which is the backbone of taxonomy – but it distorts the DNA so that the samples are not eligible for molecular work. Provided that the material has been fixated in a DNA-friendly way (i.e. in ethanol), there is a lot of work to be done before we are left with identified specimens. We wrote a bit about the sorting of samples her: “biodiversity in a dish”. We are still working actively with this material and with the results we are getting – some of it has already been published – se our list of publications here – and more is on the way. 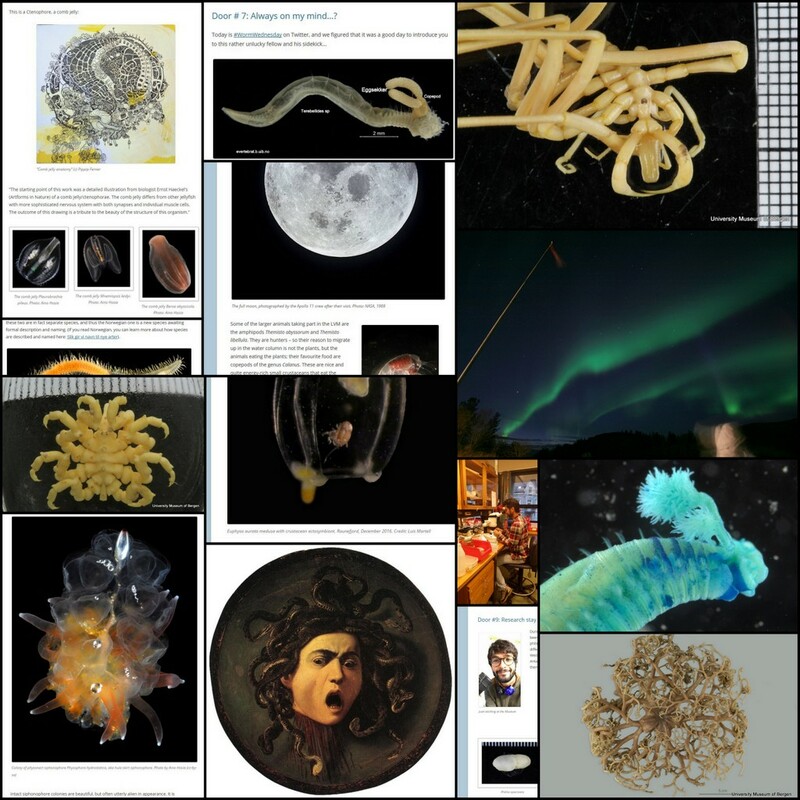 This entry was posted in BOLD, brittle stars, Crustacea, Echinodermata, MIWA, Mollusca, Polychaeta, sampling, species identification, student projects on October 19, 2016 by katrine. 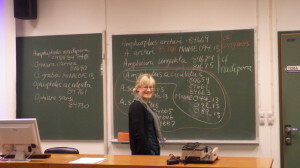 Colleagues Sabine Stöhr and Øydis Alme have published their study of Amphiura ungulata In a recent issue of Zootaxa (http://dx.doi.org/10.11646/zootaxa.3994.3.6). 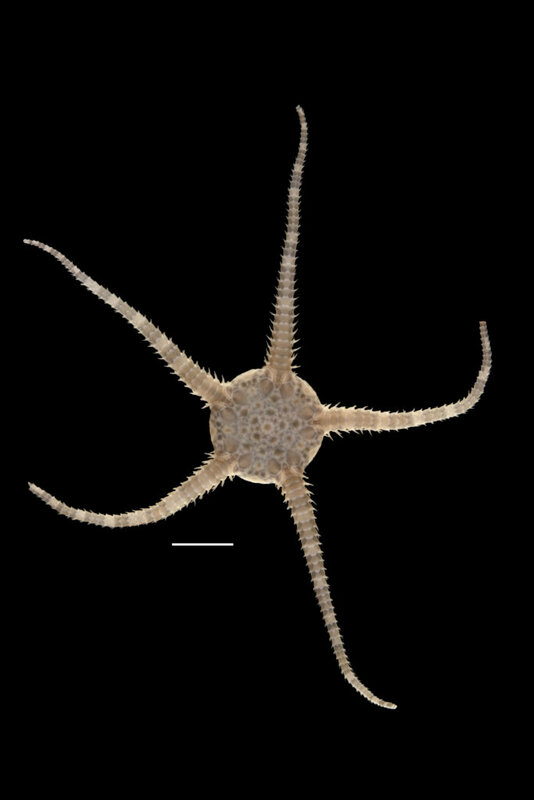 This West African brittle star has an unusual development of the arms and looks somewhat strange in the juvenile condition. This entry was posted in brittle stars, Echinodermata, MIWA, Uncategorized on August 12, 2015 by EW.